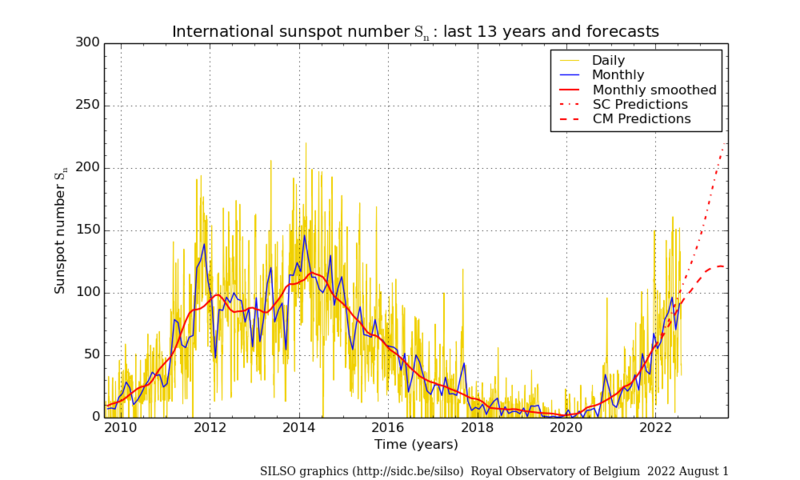 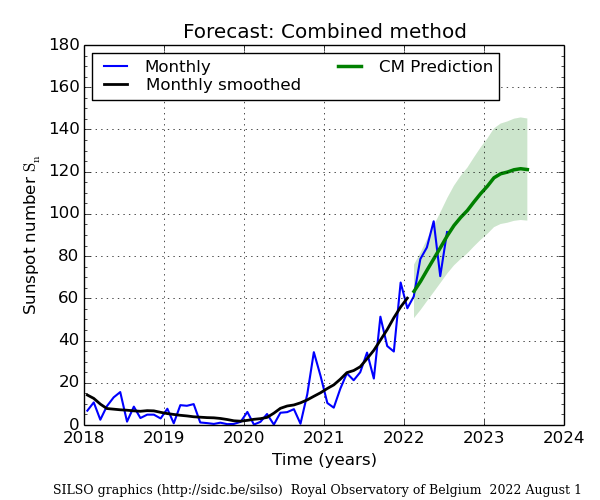 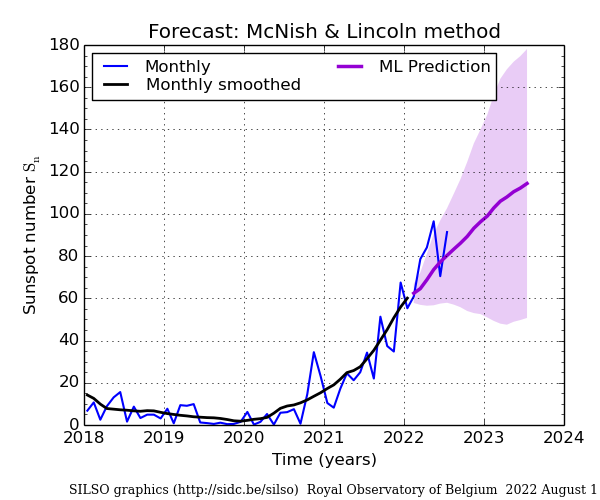 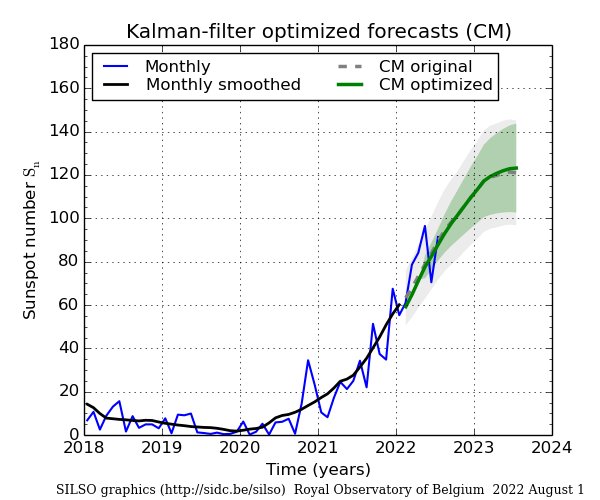 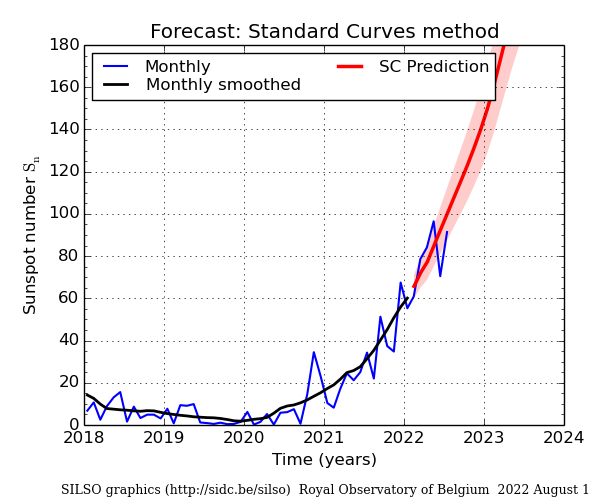 Daily, monthly and 13-month smoothed sunspot numbers for the past 13 years, and 12-month ahead predictions. 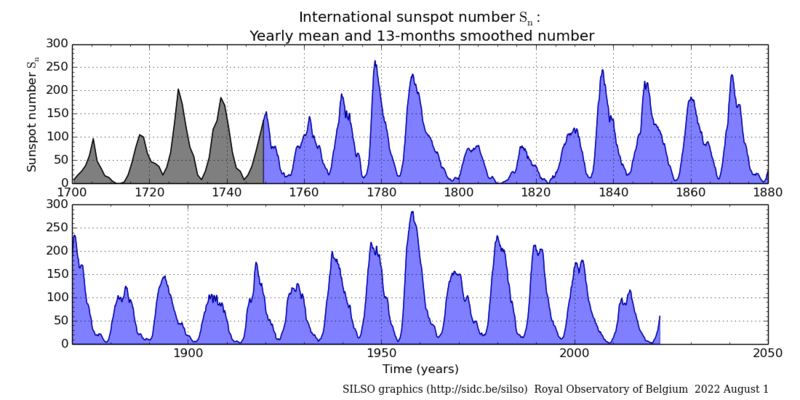 Yearly mean and 13-month smoothed monthly sunspot number since 1700. 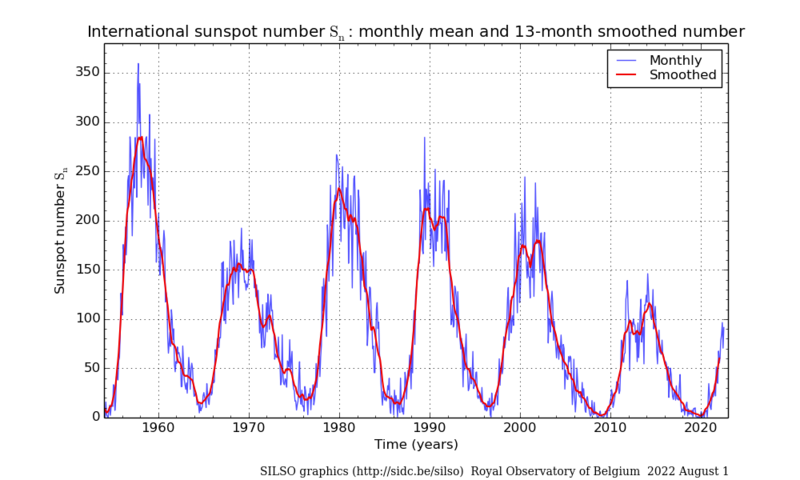 Monthly and 13-month smoothed sunspot numbers over the last 6 cycles. 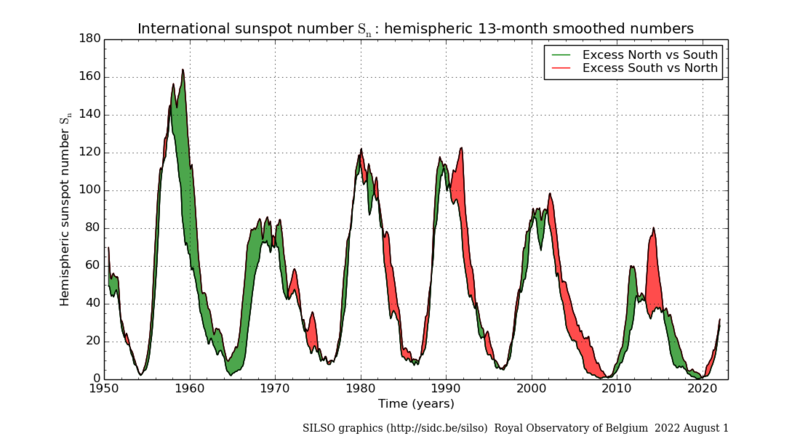 North and South hemispheric sunspot numbers (13-month smoothed values) over the last 6 cycles.